He Came, He Swam, He Conquered. It’s 7:45 in the morning and there’s fog rolling over the quiet lake. 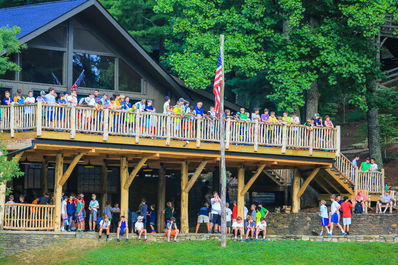 You would never know that just 26 hours ago, history was being made at Falling Creek Camp. In 2007, a camper accomplished the unprecedented. Roberto N. swam 128 lake laps, over 16 miles, in the Upper Lake. He began at the crack of dawn, swimming all day with his counselor, Peter Bishop, paddling by his side in a canoe for safety and support. He stopped only briefly to eat lunch and dinner before jumping back into the water to swim more laps. On July 9, 2014, a camper once again accomplished the unprecedented. Eric W. decided that he wanted to break Roberto’s record. Eric had had this goal in mind when he knew that he would be coming back to camp this summer. 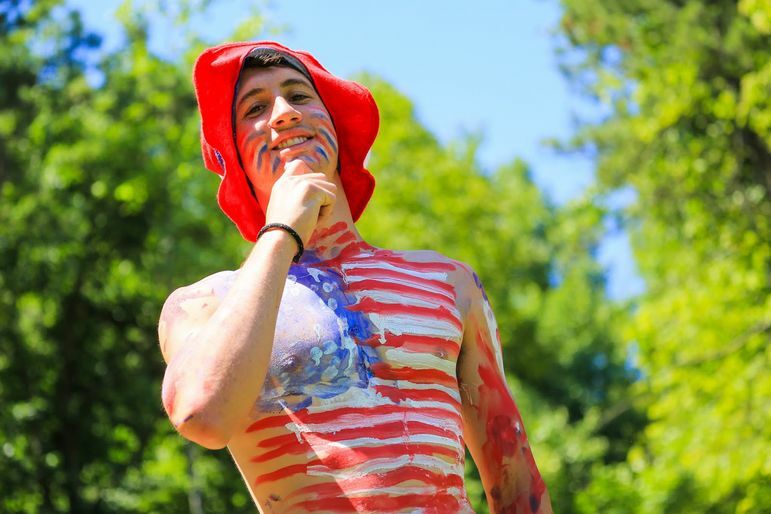 Over the 4th of July weekend, Roberto came for a visit to camp. 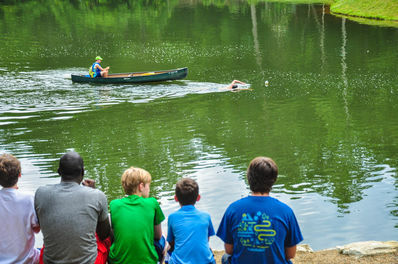 He was introduced as the record holder for most lake laps swam in a day. It was then that Eric decided that he was going to surpass Roberto’s record. Eric made his interest known, and even had a conversation with Roberto. Roberto encouraged Eric to do it, wanting his record broken. He would always be the first person to absolutely shatter the previous record, but he really wanted his record to be challenged and for that challenge to become a tradition. This is what Eric aimed to do. In preparation for swimming more than 16 miles in one day, Eric did very little training. During the year, he is a competitive swimmer, but the longest distance he had ever traversed through the water was 5k, or 3.1 miles. This was indeed a herculean task, but he was determined to try. Over the next couple days, a support team of lifeguards, Sara Wise and Evan Wescott, was put together to paddle at Eric’s side and to be on alert at the dock in case of emergency. Evan and Sara took turns at the different jobs so that they would be ready to act if anything were to happen. They had a steady supply of water, electrolytes, and food, such as bananas and granola bars, to keep Eric hydrated and well-nutritioned throughout the day in between the rest breaks he would take for breakfast and lunch. The morning of the undertaking, a small contingent of people awakened before the sun to help Eric achieve one of his dreams. Eric, his support team, a few of his cabin mates, one of his cabin counselors, and a small group of other staff arrived at the swim docks before 6am. By 6:15, Eric was in the water and starting his first lap. 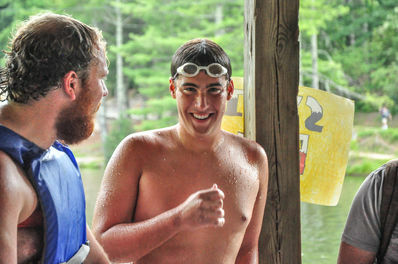 Ryan Smith, his cabin counselor, swam with him. 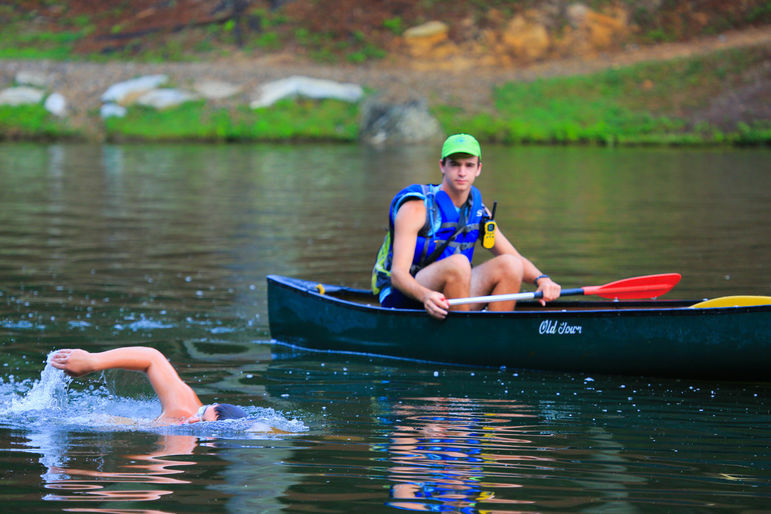 Throughout the day, Eric had a few people jump in and swim a couple laps with him and there was a constant atmosphere of encouragement from all of the campers as they went about their regularly scheduled activities throughout the day. The campers would even form in big groups to chant his name and “I believe that he will swim!” countless times before the day was done. Eric got out of the water for breakfast, lunch, and dinner, and replenished every couple of laps while staying in the water. Sara and Evan did a fantastic job of making sure that Eric stopped for water, electrolytes, and food to ensure he could break the record safely without endangering himself. By the time dinner rolled around, Eric had completed 123 laps. After dinner he would have about an hour to swim 5 laps to tie the record and 6 laps to break it. Having swam an average of about 10 laps an hour all day, Eric’s dream was definitely within his grasp. 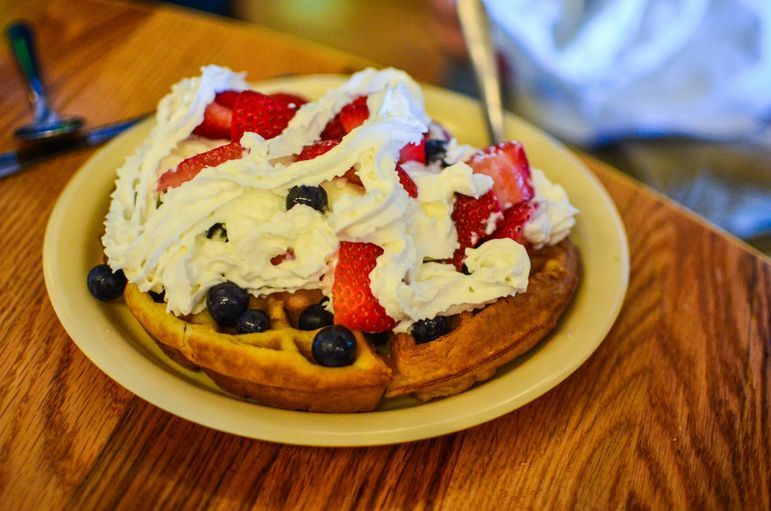 On the 4th of July, we start off the day with waffles topped with fresh blueberries, strawberries, and whipped cream to get our patriotic juices flowing with the red, white, and blue. 2. Hanging at the Lake! We have several activities at the lakefront on July 4th. Including an epic mountain biking lake jump where boys qualify to pedal hard down a small hill and up a ramp to jump off of their bikes in mid-air into the lower lake. Also at the lake, the ultimate frisbee players practice their layouts by jumping off the diving board to catch frisbees thrown out across the lake. Randomly, at a meal, a group of people stand up and sing the National anthem. By the end of the song, everyone in the dining hall stands with hands over hearts singing their hearts out for America. We have several Australian staff members this year. They joined in the excitement all day for America’s birthday. 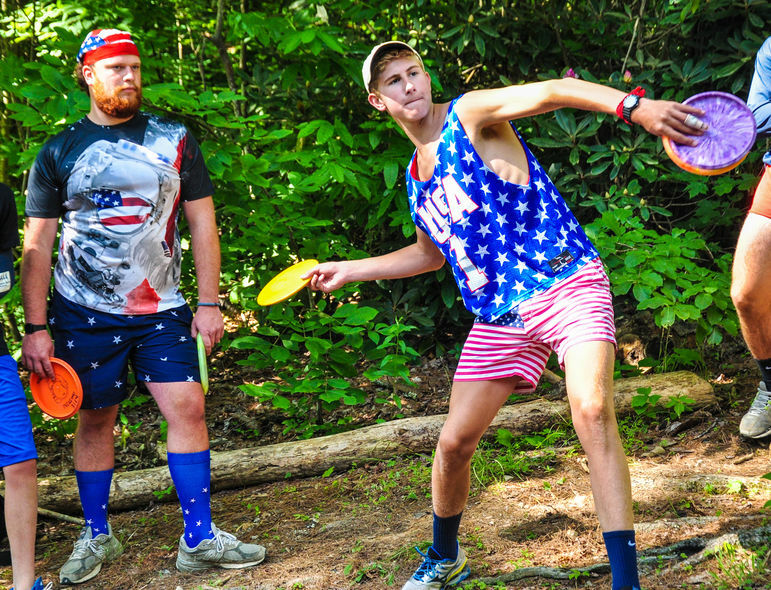 Several of the guys trekked across camp to play our 18-hole disc-golf course while looking great in their patriotic outfits. 6. Playing in the Mud Again! Every year, for the 4th of July, we hike down to the Green River Flats and have a great time hanging out. 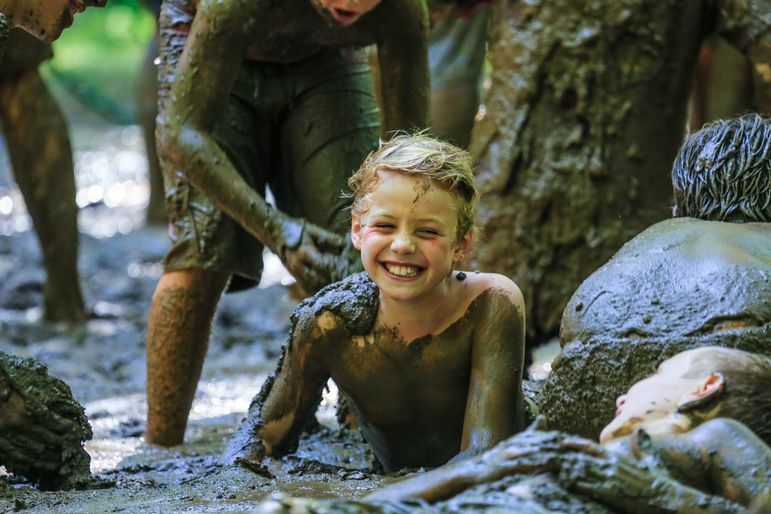 One of the biggest highlights of this is the mud pit. Even the directors roll around in the mud, and the boys have a great time getting dirty before washing off in the Green River. 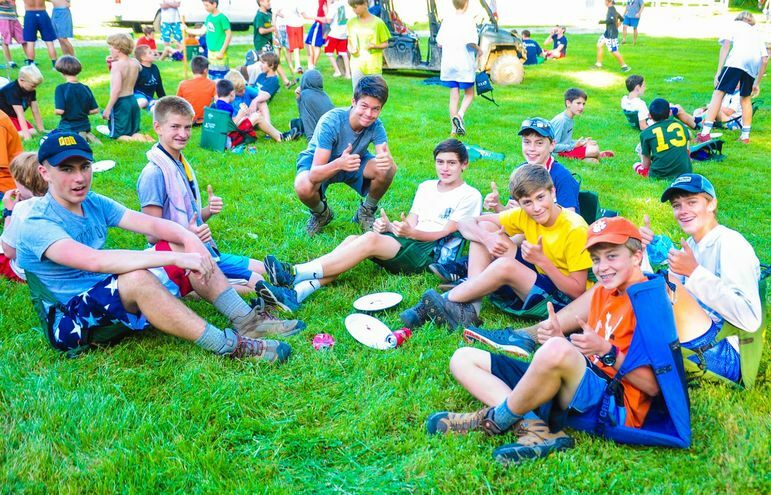 After all of the shenanigans in the mudpit, the boys clean up and change clothes and line up for great barbeque, delicious sides, and, of course, the wonderful drink that is Cheerwine (“Born in the South, Raised in a Glass”). They get to picnic in the grass and eat with any and all of their friends. What 4th of July celebration would be complete without fireworks??? NONE! 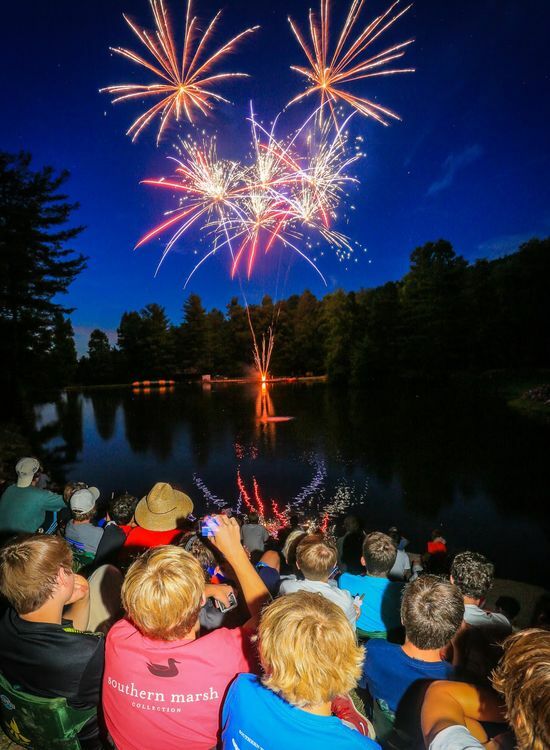 That’s why after the hike back to camp after dinner, the boys shower up and head out to the grassy knoll and lakeside spots to watch a magnificent fireworks display before heading to bed a little later(but a little more excited) than usual. Camp is in full swing after its month-long service of activities. With all the returning (and new) activities Falling Creek has to offer, it’s easy to forget the programs we have that remained a standard that other areas have fought to make deuce. 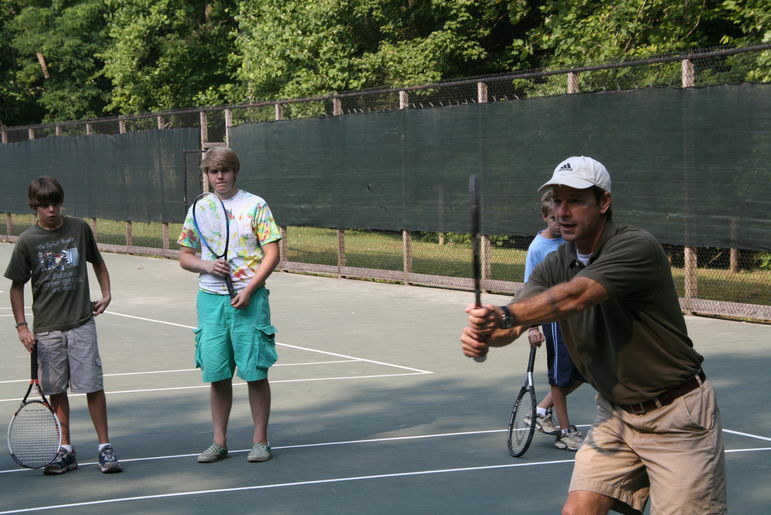 Here at Falling Creek, tennis is one of the longest standing programs, dating back to the start of camp in 1969. Even the tennis staff has boasted long returns, with Mike Nuckles around since 2009, and Andrew Cobb, assistant tennis coach at Reinhardt University, since 2011. With daily games, drills, and workouts, the program has taken the sport to the next level. 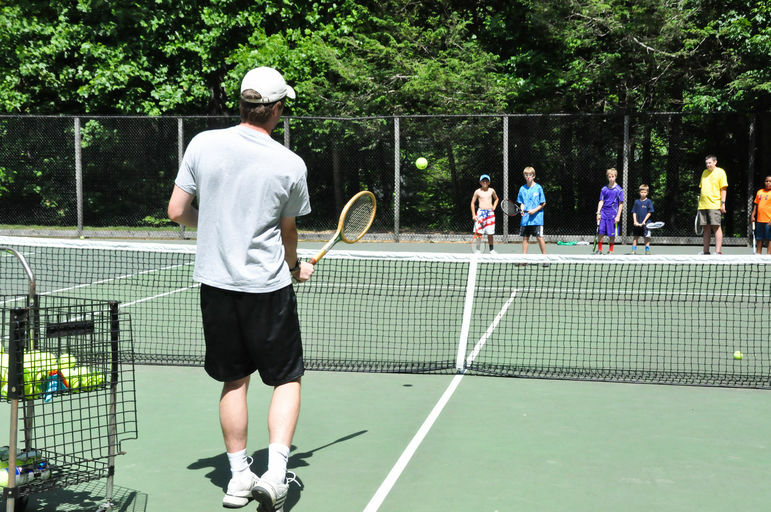 They’ve even included camper solo and doubles tournaments, as well as camper/counselor tournaments that pairs participants with members of the staff. It also boasts a long standing tradition of invitationals with nearby girls camps and viewings of French Open Finals as it happens. But the area has gone beyond the game. They have made a ‘Tennis Ladder,’ a ranking system for the entirety of camp. In order to move up on the ladder, the boys must challenge each other to matches during free time. They’ve even created variations of the game including ‘Touch the Fence,’ ‘Jail,’ and ‘Puppy Dogs Vs. Velociraptors,’ each with their own set of rules that can be played with a raquet, on a court. But the most important difference is the sense of community the boys have with each other. They also decided to start this year an advanced tennis camp August 3-9 where they plan on training boys for USTA junior tournaments and people competing at the High School level. At ATC, they will hold a college style tournament for doubles and singles with awards given out to the winners. One of the main goals is to get the boys comfortable in match scenarios when they are down and need to make a comeback without putting too much pressure on themselves. 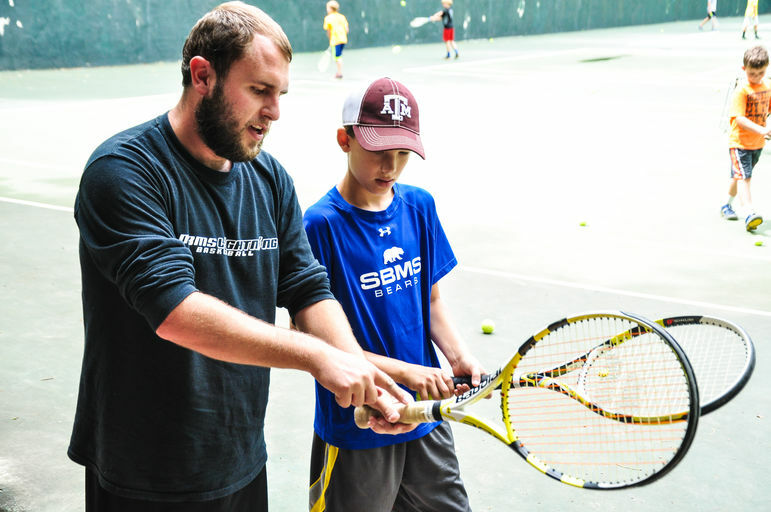 The boys will also be trained on how to string a tennis racquet and other important skills. As a first year counselor, opening day was definitely a unique experience. After more than a week of staff training, the influx of energy from all of the campers was phenomenal. One of the most amazing things that I witnessed was the reconnection of old friends. 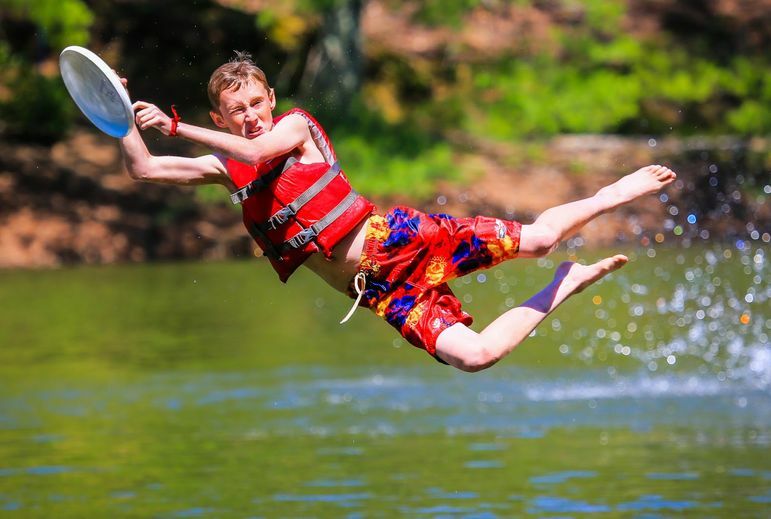 Since Falling Creek is a summer camp, the boys form tight bonds with their fellow campers in just a few weeks and then return to their homes, separated from some of their friends for an entire year. Opening Day saw many of these friends reconnect with all the excitement that a year of anticipation can bring. Another dynamic to this is when the boys would see their former counselors over the course of the day. Falling Creek really tries to foster a lifelong brotherhood between the campers themselves and between the campers and their counselors, and this goal has clearly been met by the joyous look on the boys faces when they see people they know and the big goofy grins that the counselors get when they see campers who were in their cabin previously. I have also noticed an incredible amount of support from everyone in the Falling Creek community, whether it be from the full-time staff, my fellow counselors, the campers, and even the families of the campers. Everyone who comes into camp walks around with a bright smile on their face and is willing to lend a helping hand to anyone in need. It was also awesome to see all of the boys support each other even though some of them had never met before. During a free time, there was a group of boys just playing tag in the gym and when it was time for them to go their separate ways, they remembered that they didn’t know each other and introduced themselves after they had been playing together for twenty minutes. This was an awe-inspiring thing to witness and really reminded me that I need to approach more things in my life with that sort of mentality of getting lost in the fun and not getting hung up in the introductions. Camp has only been going for a day and I already feel incredibly honored to be a part of Falling Creek Camp. I know that the boys are going to teach me a lot and make a huge impact on my life, and I can only hope to do the same for them. This is going to be a fantastic summer and I can’t wait to see what’s in store.